Earlier this month we noticed a female Blackbird hanging around under our conservatory in the back garden. 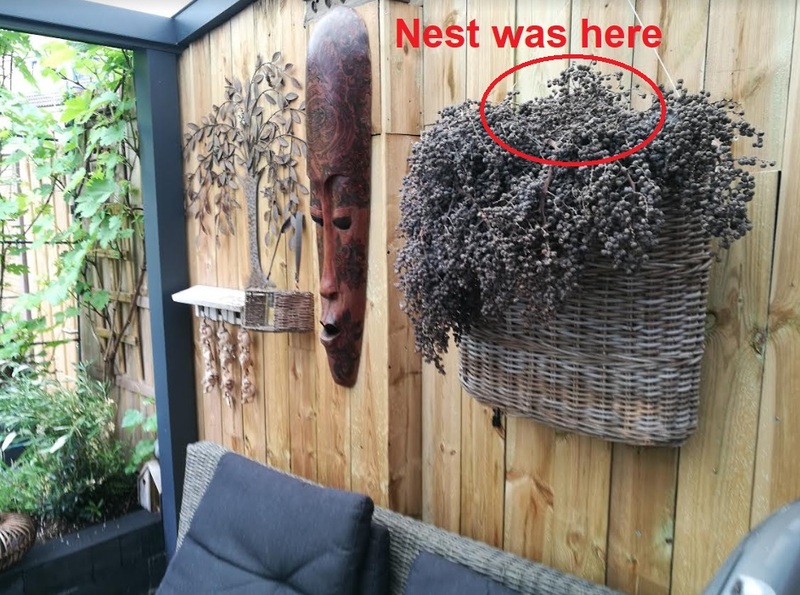 She was incredibly tame and totally unfazed by being around humans and we soon realised she was building a nest just 1 meter above our dining table, see picture below. 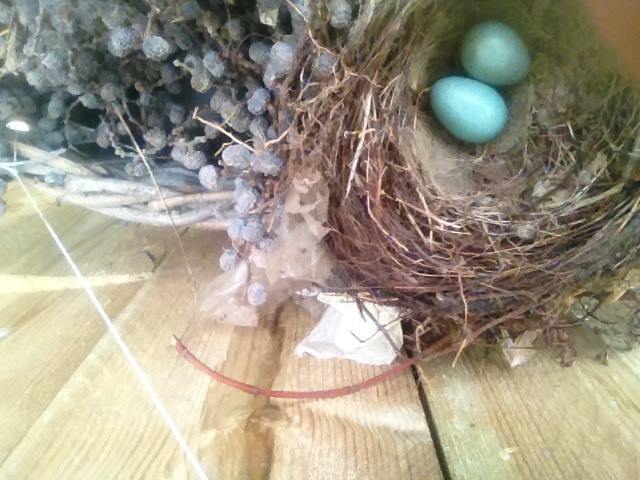 She soon delivered two beautiful blue eggs. She stayed with us for a week or so sitting in her nest while we all went about our business and she was obviously very comfortable living among us. Unfortunately one morning we came downstairs to see our lady friend in her nest with broken eggshells and behaving in a distressed manner, we think the nest was attacked by Magpies earlier that morning. She is still to be found in our garden however and she is still very tame.